I alight here about once a week to meet the people at my second job. A lovely bunch of coworkers, their place of productivity has recently been moved to a office in Bow Lane, giving me the chance to alight either at Mansion House or St Paul’s. 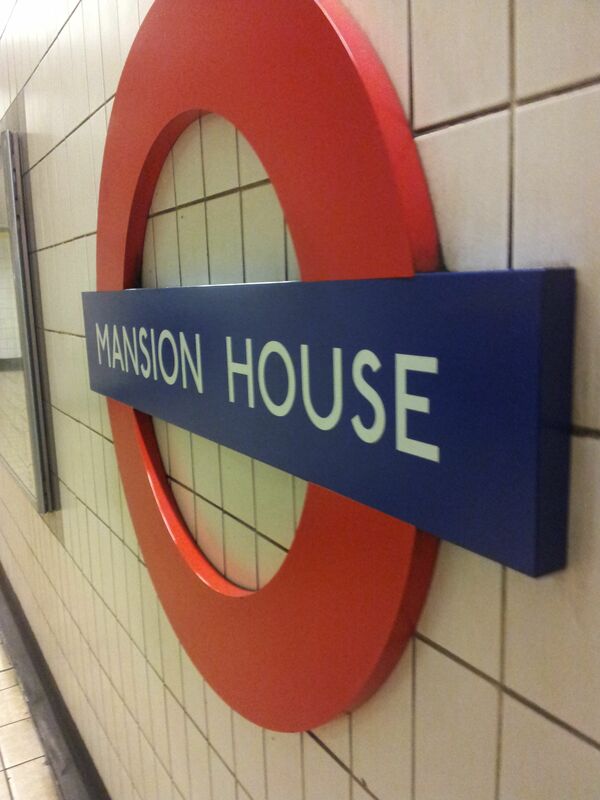 I prefer getting out at Mansion House, but I never really invested a second thought on why it has this particular name. 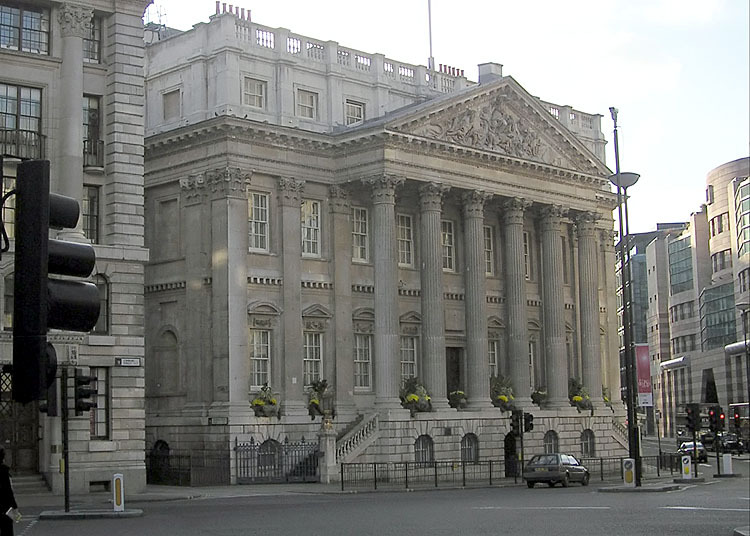 Turns out it is the official residence of the Lord Mayor and has been there since building finished 1752 and these days is mainly known for HM’s chancellor’s ‘Mansion House speech’ in which he talks about important macro-economic issues of the day. The station’s tunnels are populated with the destitute and homeless, which are having mainly micro-economic issues. There is some sort of actio/reactio in this. Funny that. ← Douglas Adams’ virtual 60th. At times with virtual Humour.